Menton Daily Photo: A Menton Christmas - Happy Christmas! 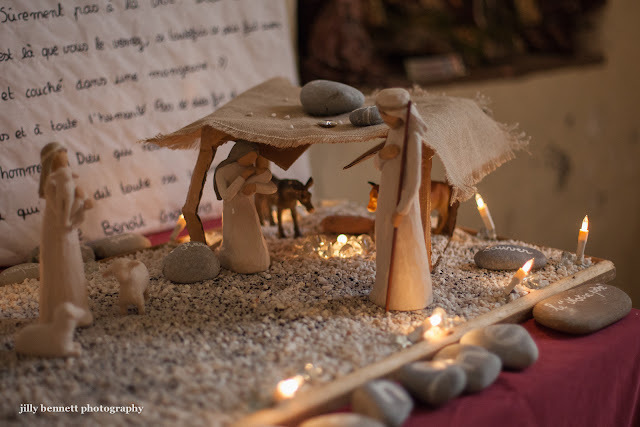 One of the simplest and most beautiful nativity scenes on display in Menton this Christmas. L'une des plus simples et plus belles crèches exposées à Menton pour ce Noël. Merry Christmas to you too, Jilly. Thank you for another wonderful year of photos of one of my favorite places. Gunn and Steve,- in Stavanger. I like the way they have created this. I am only a recent follower, but you blog has given me much pleasure since discovering it. May the peace and joy of Christmas be with you throughout 2013. Its simplicity is its true beauty!